Mites and fleas are common pests that can infect pet birds as easily as they infect cats and dogs. They can make your pet bird uncomfortable and they can spread from bird to bird until they have infected an entire aviary. 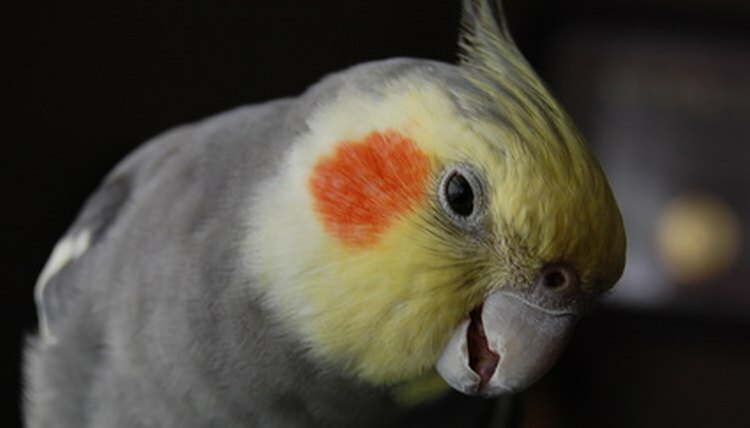 Learning to recognize the signs of fleas and mites in pet birds can help you take fast action. The bites from fleas and mites tend to irritate the bird and it might prevent it from being able to rest comfortably. The bird may stir and move about constantly, even when it would normally be resting or asleep. Both mites and fleas bite the bird's skin, so look for redness or irritation. The skin may seem raw and inflamed, or it might simply seem pinker than it usually does. Birds that are dealing with mites and fleas will be consciously grooming themselves to get rid of them. While they will not pluck out their own feathers in a response to mites, they will preen often to get the mites out. Examining a pet bird for mites requires a calm bird and a strong light. While some mites are too small to be seen by the naked eye, fleas and red mites are large enough to be seen. In extreme cases of mite infestation, there may be damage to the feathers themselves. The feathers may look ragged or they may appear to be less shiny than they were before.